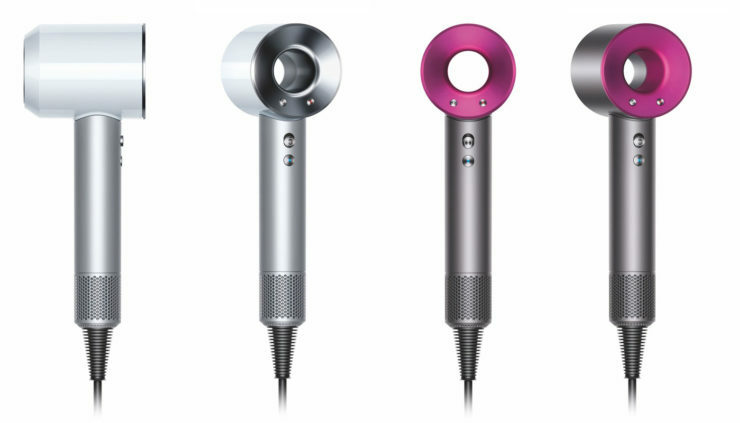 Dyson Redesigns The Hair Dryer: Meet Supersonic | OhGizmo! By David Ponce on 04/28/16 • Leave a comment! Dyson, best known for their vacuum cleaners, recently launched its first foray into an entirely new area: beauty products. In revealing the Supersonic Hair Dryer, the company also gave reporters a glimpse into the four year effort that went into its creation. The dryer itself is said to be much quieter, and lighter than current top-of-the-line models. And… it also looks like the future! Four years in development, the company spent $71 million (and took four years) to make its hair dryer, with the sort of specifications and research backstory of a car. The press release explains the 600 prototypes, over 100 patents pending, and a cast of 103 engineers that worked on it. It helps to explain the price ($400), but even salon-level hair dryers hover around the $300 mark. The name at least partly comes from their efforts to make it quieter; by increasing the blades on the rotor to 13, from 11, they realized the device started generating sounds beyond the audible range for humans. Dogs, on the other hand, may not appreciate your morning blow-dry routines. So yeah, it’s $400, and will only be available at Sephora starting this September.